We are used to leading busy lives. But if things get too busy, too hectic, we can feel overwhelmed. That is stress. Stress can hurt our bodies in ways that scientists are just beginning to understand. A new study suggests it can even reduce the benefits of a good diet. NPR's Allison Aubrey reports. ALLISON AUBREY, BYLINE: If you're curious about how stress influences your body and what you can do to handle it better, there's a lot to be learned from the research of Janice Kiecolt-Glaser. She's been studying this a long time. The Ohio State professor has demonstrated that stress can alter metabolism, leading people to burn fewer calories. She's also shown that stress makes wounds heal more slowly. JANICE KIECOLT-GLASER: My major theme has been the effects that stress has on your body. AUBREY: In her latest study, she's looking at the interactions between stress and diet. And she wants to know if a certain kind of meal could counter the effects of stress on the body. To answer this, she got about 60 women who were experiencing different kinds of stress in their lives to participate in what she calls a meal challenge. KIECOLT-GLASER: You're giving people a meal - in this case, two different meals. And you're looking to see how the two different meals might have different kinds of effects. AUBREY: Now, one meal was very high in saturated fat, the type of fat most linked to heart disease. The other meal was made with fat similar to olive oil, which is considered better for health. The idea is that the healthier of the two meals would protect against the harmful effects of stress, specifically inflammation levels in the body. And here's what she found. 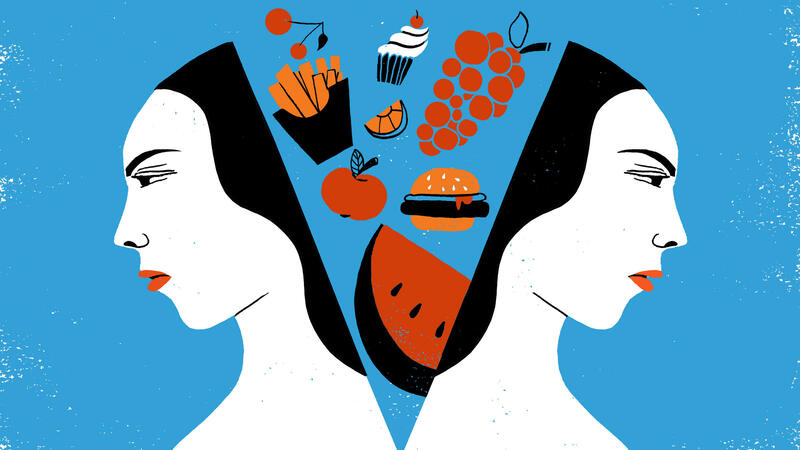 KIECOLT-GLASER: When women were not stressed, and they got the healthier meal, their inflammatory responses were lower than when they had the high-saturated-fat meal. AUBREY: Not really a surprise - but on days when women were stressed, experiencing things like a child care scramble, an unmet deadline or caring for an elderly, sick parent, eating the healthier meal did not help. KIECOLT-GLASER: The stress appeared to boost inflammation. AUBREY: Meaning when the women ate the healthier meal, their inflammation was just as high. Kiecolt-Glaser says over time, higher inflammation in the body can increase the risk of a range of diseases. KIECOLT-GLASER: Cardiovascular disease, type 2 diabetes, arthritis, some cancers - it's an ugly list of possibilities. AUBREY: The findings may seem like a bummer. It's easy to interpret as, hey, maybe a good diet doesn't really matter. But Aric Prather of UC, San Francisco, who studies how lifestyles influence health, says this would be the wrong conclusion. ARIC PRATHER: No, I don't think this study shows of how you eat doesn't matter. AUBREY: What it does suggest is that, in some cases, the power of stress can overwhelm diet choices. But if you combine a good diet with other effective strategies, Prather says, you can protect the body against the effects of stress - for instance, exercise. MARINA SMITH: Like, I really enjoy exercising when I'm stressed because it gives you some sort of outlet to distract from all of the stress. AUBREY: That's law student Marina Smith (ph). I caught up with her and a group of friends as they were taking a study break. They agreed that one of their top stress relievers is just hanging out together. SMITH: Friends are great because when you're able to talk with them, you're able to get the stress out so it's not bottled up inside of you. AUBREY: UC, San Francisco's Aric Prather says Smith's strategies are two of the best. PRATHER: Yeah, absolutely. Exercise and social connectedness are effective in kind of improving people's well-being and their ability to cope with stressors during the day. AUBREY: Since we can't just wish stress away, Prather says the more of these habits we have to unwind, the better. Allison Aubrey, NPR News. Transcript provided by NPR, Copyright NPR.